No, no, no, even though I am a dog lover this blog has not converted from one of food to all canine all the time. No, the ‘spotted dog’ I am referring to is not the one of 101 or the fireman’s best friend, but the one that most Americans would call ‘Irish soda bread.’ A straight up traditional soda bread would not be marred by ‘spots’ (dried raisins or currants) or any kind, just straight up flour, soda (of the bi-carb variety), a bit of salt, and buttermilk and you have your dough (or ‘dog, pssst, slang for dough). 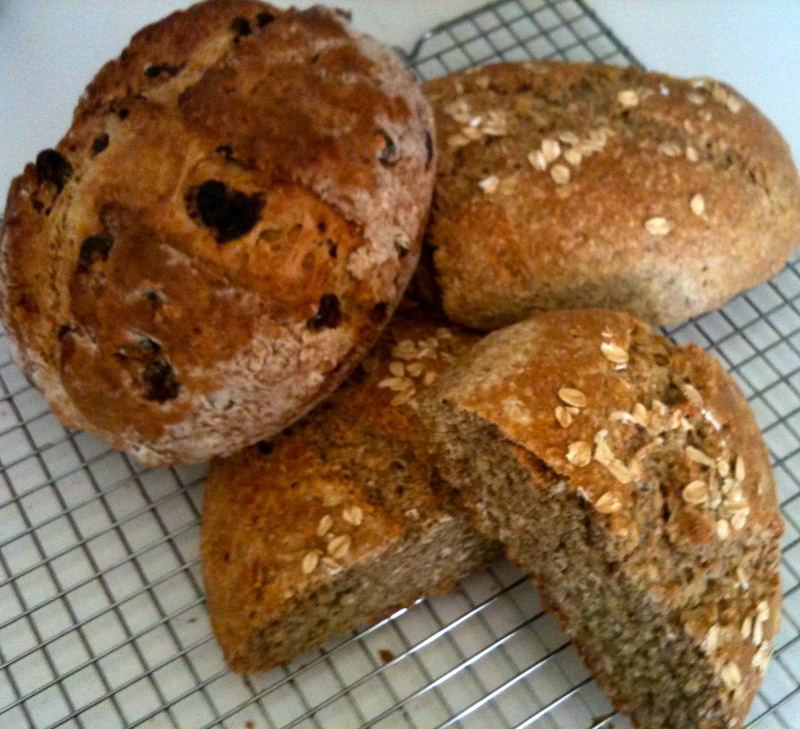 Or texture it up a bit and you have Irish brown bread (link to my post on brown bread and homage to soda bread). 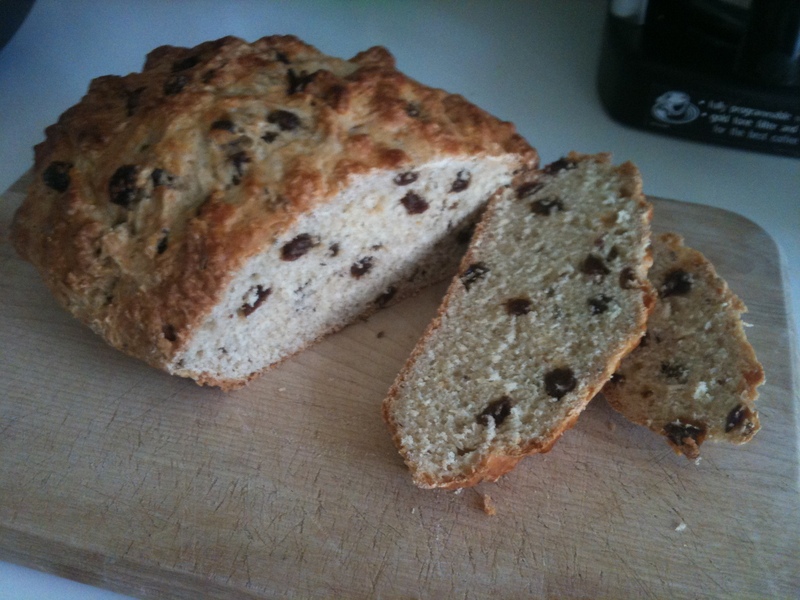 But guessing, cause, we humans hanker for the sweet, raisins, currants and sugar found there way into the soda bread. Some folks have gone as far as adding eggs and butter but that is taking us into cake territory so let’s try to keep it as close to the original as possible shall we? Now for years I have kept my recipe for ‘spotted dog’ close to the vest. And to be honest I cannot take full credit for the Tuffy spin on soda bread. No, that credit must go to my father. And like the good fellow of Irish descent that he is, booze found it’s way into our version of soda bread in the form of Irish whiskey. Genius, right? Our secret? 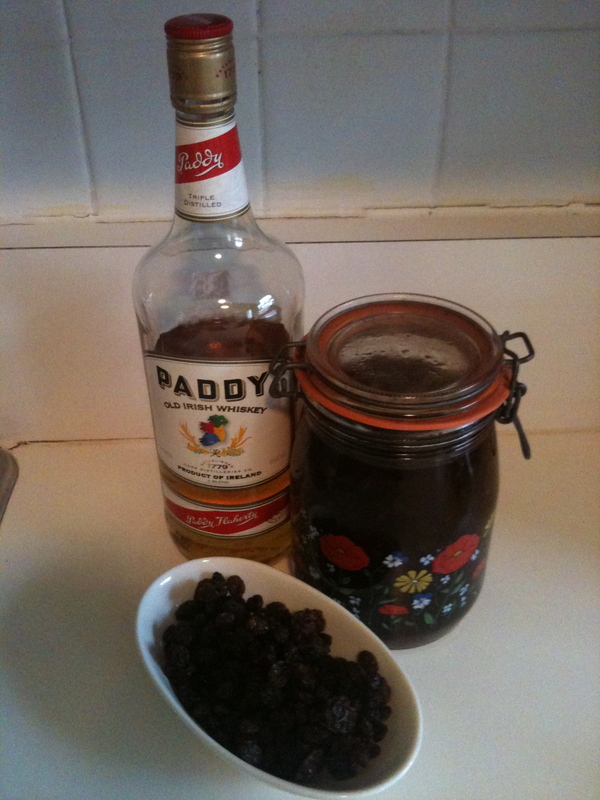 Macerating (ok, soaking) the currants/raisins in the Irish whiskey so they are nice and plump and drunk. Having started this ‘secret’ recipe at least 20 years ago (give or take) I have used the same glass clamp jar to soak my raisins in and just keep topping it off year after year — now that is some age and flavor. And to be honest there are times when the raisins start soaking right after I have made the years batch of bread. A full year of bathing in the whiskey. Woo hoo! Now, you don’t have to go to such soaking extremes. Heck even a soak for a few hours will do the trick. And if you don’t want to use the booze (shhh, even my tetotaling mother-in-law goes for the boozy version) soak your fruit in a both of hot tea. I just think plumping up the raisins makes such a delicious difference. Other than soaking and baking time this is a snap to but together. And so so good with a big ole slather of butter…and maybe a shot of Paddys (insert your Irish whiskey of preference). Slainte! Preheat oven to 350 degrees. Sift the flour, sugar, baking powder and baking soda together twice. Then mix in the caraway seeds and raisins (drained of the liquid). Then a little at a time start incorporating the buttermilk. Give or take the 1 1/2 cups til you have a dough that is not too too sticky. Knead in the bowl and then continue to knead on a floured board. Shape into a round. Place in a pie tin or 8″ round cake pan. slice a ‘x’ on top and then brush with a bit of buttermilk. Bake for 45-50 minutes. This entry was posted in Uncategorized and tagged bread, butter, Irish, Irish Soda Bread, Irish whiskey, Mo's blog, quick breads, spotted dog, Tuffy's Irish soda bread. Bookmark the permalink. 5 Responses to The ‘Spotted Dog’ or drunken dog? Moira, my recipe is the same except I add 1/2 tsp salt and a handful of raisins. I meant to say a handful of caraway seeds , not the raisins. Karen Bartell, foodie friend of your Irish Father. I actually tasted his Soda Bread last Saturday night at a St. Pat’s Party at our church and totally enjoyed it. Thanks for the recipe!! P.S. I am the person who catered Leslie and John’s wedding reception.